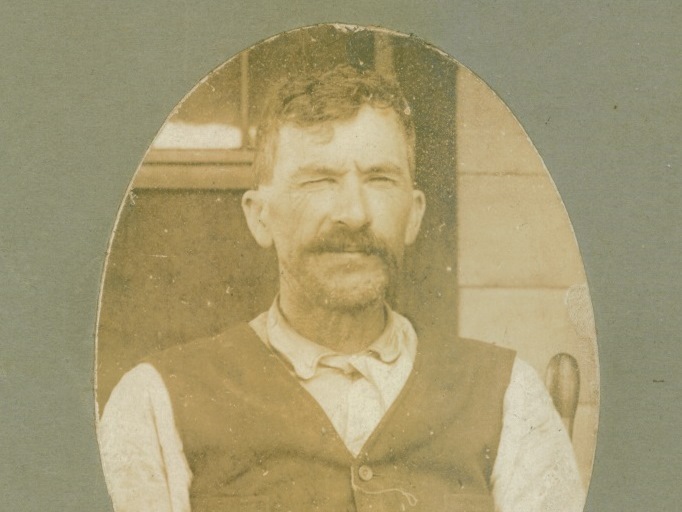 I remembered that I have tax receipts for my great-grandfather, Adolphus Burdine Martin (1867-1917). I thought they might contain something interesting, and they did. A.B., as Adolphus was called, lived and farmed in Richland County, South Carolina on the land that would become Fort Jackson. His eldest son, Joel Daniel Martin (1886-1955) was my grandfather. Daniel, as he was called, was the executor when A.B. died in 1917. A lot of A.B.’s legal paperwork came to Daniel who kept it all. It eventually worked its way down to me. A.B. paid several kinds of taxes in the 1890’s until 1917 when he died – personal property tax, poll tax, capitation dog tax, and others. One was the Commutation Road Tax which he paid in the 1900’s. Those are the only receipts I have for that tax, anyway. 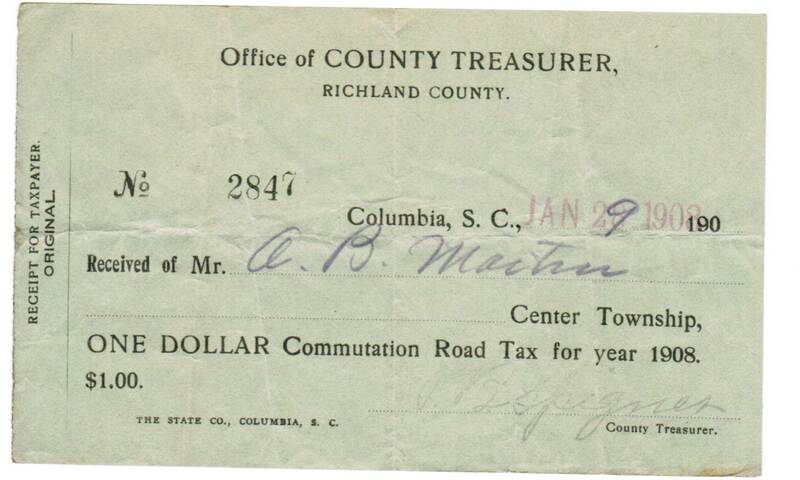 The Commutation Road Tax was paid ‘in lieu of working on public highways,’ and the tax was $1 per able-bodied man. The penalty for either not working on the highways or not paying the tax was different in each county of South Carolina. For Richland County in 1922, the penalty was a fine of $5-50 or imprisonment for not more than 30 days. That was a lot of money then and a lot of days to be missing from your livelihood if you were a farmer like A.B. I’m not sure what the fine was in the early 1900’s but probably not a lot less. I can see why he chose to pay the tax instead of working on the public highways. Thankfully, he had enough money to pay it. I was not surprised there was a road tax. What did surprise me was that men were expected to work on the roads, and paying the tax was the option. Glad you liked it. Thanks for stopping by and commenting.